If extenuating financial circumstances have resulted in your home going into foreclosure, it is important that you understand all of your options sooner rather than later. While no one anticipates having their home go into foreclosure, the recession in New Hampshire and the stagnant job market have cause many homeowners to face the threat of foreclosure. If you believe that your bank may start the foreclosure process, or if you have already received the certified letter from the bank’s attorney notifying you of the sale date, you should speak with an experienced bankruptcy attorney as soon as possible. Anyone on the verge of becoming one of these statistics should seek legal assistance as soon as possible. Attorney Kelley will take the time to understand the circumstances that led to your current situation, and then explain to you all of your options, including filing a Chapter 13 bankruptcy to cancel the foreclosure sale. 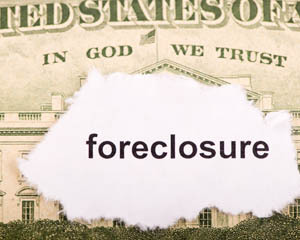 It is important for you to understand your options well before the foreclosure sale date. Attorney Kelley has over 20 years of experience helping homeowners understand their options so they can make an informed decision regarding a pending foreclosure. In New Hampshire, nearly all foreclosure proceedings are non-judicial, which means the bank is not required to seek court approval prior to conducting the foreclosure sale. Instead, when a homeowner signs the mortgage document, the mortgage grants the lender the statutory right to foreclose upon the home in the event the homeowner defaults under the terms of the loan. This clause in the mortgage is known as a power of sale clause. This clause basically says the borrower grants to the lender the right to sell the property in the event of default. However, the statute that grants the bank the right to sell your house, also grants you important rights which you should be aware. One of these rights is that the notice of sale must be mailed to you via certified mail at least 25 days prior to the foreclosure sale date. Receiving a notice of foreclosure sale can be overwhelming, and leave you with a sense that you have exhausted all of your options. However, if you receive such a notice, it is important to speak to an experienced bankruptcy attorney as soon as possible, so you can fully understand all of the options that you still have to save your home or to move from your home on a timeline more suitable for you. Attorney Kelley can help you understand all of your options, including filing a Chapter 13 bankruptcy to cancel the sale and to provide you with time to get caught up on the missed mortgage payments. Attorney Kelley will be able to take a comprehensive look at your situation so you can choose the best option to overcome an impending foreclosure sale. To speak directly with a lawyer call Attorney Kelley at 603-637-1453.